We will attend the coming 2015 Hong Kong International Lighting Fair(Autumn Edition) in Hong Kong Convention and Exhibition Center from October 27, 2015 to October 30, 2015. Our booth NO. is 5B-D39. An exciting opportunity to see our latest catalogue and innovative new products. 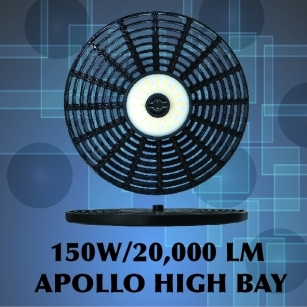 This year we have announced many different potential items including 150W High BAY and special application used TRACK LIGHT(CDM-T replacement), besides we also have announced a series of patented NON-GLARE SPOT LIGHT including AR111, AR70, PAR 30/38, ES111, and other special design lamps, which make the light performance “just like an halogen" and also beautiful.